Actor filmmaker Sanjay Kapoor is 52 and fabulous today. The actor is all set for his comeback on the small screen and he has planned to spend the day shooting for his upcoming show Dil Sambhal Jaa Zara, which will be followed by a dinner with his family, reports news agency IANS. "I'm really excited for my show and I'm giving it my all. Yes, promotions have kept me busy, but it's a great feeling to be working on your birthday. I feel blessed. I will complete my shoot and later go for dinner with my family and spend quality time with them," Sanjay Kapoor told IANS. Dil Sambhal Jaa Zara, which also stars Smriti Kalra, appears to be a love story of a couple with a significant age difference. In the show's promos, Sanjay Kapoor introduces Smriti as his wife. His character also introduced himself to Smiriti's character as a friend of her father in a separate promo. 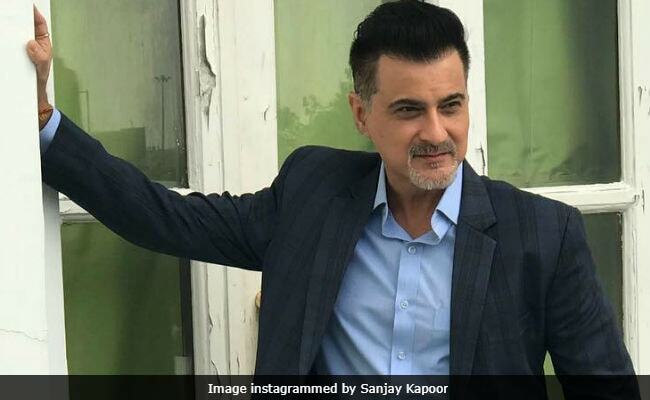 Sanjay Kapoor is returning to television after more than a decade. His TV debut show was Karishma - The Miracles of Destiny, co-starring Karisma Kapoor, Arbaaz Khan, Jugal Hansraj and Arshad Warsi. The show aired from 2003 to 2004. On the big screen, Sanjay Kapoor was last seen in Mubarakan, which featured his nephew Arjun Kapoor and brother Anil Kapoor. Before Mubarakan, Sanjay Kapoor featured in Shahid Kapoor and Alia Bhatt's Shaandaar and he is currently filming Hera Pheri 3, which he is also producing.